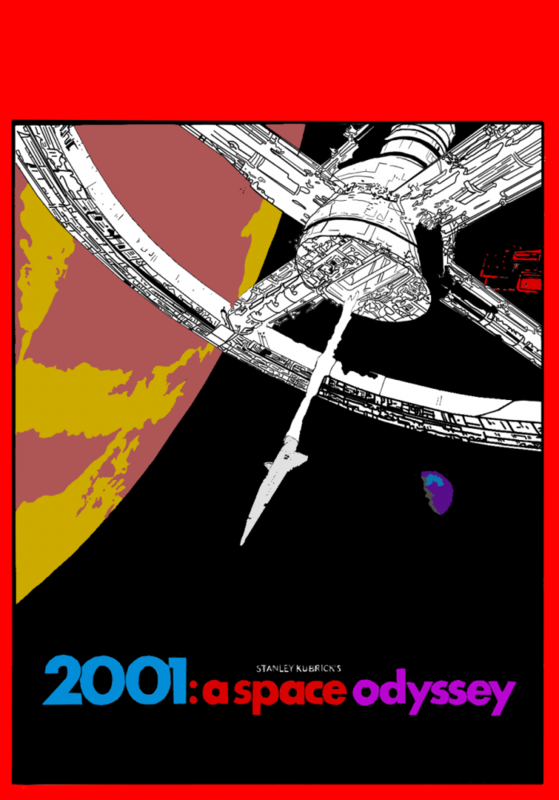 Released 50 years ago on April 3, 1968, “2001: A Space Odyssey” continued legendary director Stanley Kubrick’s streak of incorporating unmatched imagination into his projects, only gaining momentum upon the release of his 11th film. From using weapons for the first time to creating computers that surpasses their own intelligence, “2001: A Space Odyssey” attempts to connect dots and create parallels that bridge the experience of humanity over millions of years. These experiences all follow breakthroughs in human understanding, tied together by The Monolith, a black rectangular prism that is found mysteriously across the film’s many settings. The crux of the story follows astronauts Dave (Keir Dullea) and Gary (Frank Poole) embarking on the first attempt to send a team to Jupiter. The ship is run by supercomputer HAL 9000 (Douglas Rain), who they describe as the ship’s “central nervous system.” When HAL begins to question its purpose and believes that the astronauts are conspiring to shut it down, the resulting conflict of man versus machine is one that modern science fiction continues to mold itself around. The movie, as many of Kubrick’s films do, relies heavily on visual storytelling. Stretches of the film pass without any dialogue, instead relying on panned establishing shots paired perfectly with the classical score as its exposition. The now-classic “Thus Spoke Zarathustra” opens the film with five iconic notes and a hammering tympani, panning to the film’s iconic shot of the Earth between the Sun and the Moon. The score returns whenever the story finds man seeming to reach another level of consciousness. While the film lacks any definitive action or adventure, the slow-burning tension that Kubrick develops serves purely to highlight the isolation and anxiety of floating in an empty vacuum. The vastness of the universe that Kubrick creates through Oscar-winning visual effects establishes an atmosphere unlike anything cinema had seen before, which would go on to influence films like “Star Wars” 11 years later. Much like the mysterious monolith that bridges time and experience, “2001: A Space Odyssey” is one of the movies that bridged old cinema with new. The film ultimately incorporates themes of artificial intelligence and the results of man exploiting or manipulating nature that arguably hold up even more in 2018 than they did upon the film’s original release 50 years ago.